It doesn't inspire confidence that the US Navy manages to crash another of its top-notch warships - on the same day that it launches military drills off Korea; drills which could spark an accidental nuclear war. If the US Navy can't control its own vessels in normal civilian maritime situations, what does that say about the competence, or lack of, in nail-biting war scenarios? In the latest incident, the guided-missile destroyer USS John S McCain collided with an oil tanker near Singapore. This was the fourth major accident involving the US Navy this year — and all were in Asia-Pacific. Ten American sailors are missing and, from the extensive damage to the ship, presumed dead. As one flabbergasted US military pundit told CNN: "How does a state-of-the-art navy destroyer equipped with multiple radar systems and communications gear with a full-bridge watch not see, detect and evade a 30,000 ton slow-moving (10 knots) behemoth?" The US destroyer in question is fitted with the Aegis anti-missile system, which is supposed to be the apex of American technology for this kind of weaponry. There are reportedly 14 such vessels operated by the US 7th Fleet in the Asia-Pacific. The ships are purported to be a key part of the defense system for the US and its allies against North Korean ballistic weapons. If these elite warships can't avoid running into oil tankers, it doesn't say much about their ability to detect and zap supersonic enemy ballistic missiles hurtling across the stratosphere. The incompetence of US forces only adds to the uncertain tensions that have gripped the region in the nuclear stand-off between Washington and North Korea. 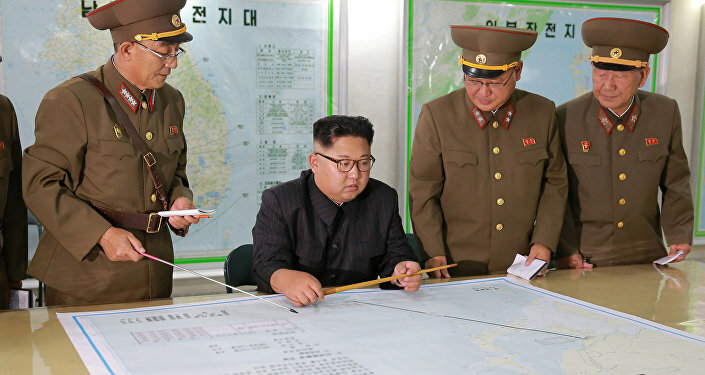 North Korea this week repeated its warning that the war games being conducted by the US and its South Korean ally over the next two weeks are a reckless move that could trigger "an uncontrollable phase of a nuclear war". Still Washington has gone ahead with its annual war drill off Korea — involving massive land, sea and air maneuvers — despite calls from both China and Russia for the games to be cancelled as a concession to reduce tensions with North Korea. The latest collision between an Aegis-equipped US destroyer and an oil tanker is an emphatic reminder that accidents can happen even with supposedly sophisticated weapons systems. Given the knife-edge standoff between the US and North Korea this kind of risk-taking by Washington in holding its war drills is doubly reprehensible. Every year that US forces conduct these war maneuvers off Korea, the North Koreans protest that they are a provocation signaling a rehearsal for an American military invasion. This year's war drills are especially fraught after US President Trump warned earlier this month that American military would unleash "fire and fury like the world has never seen before" on North Korea over its nuclear weapons program. Trump's words implied a pre-emptive strike by the US with nuclear weapons. North Korea responded with threats to launch a ballistic missile strike near the American Pacific island territory of Guam, where the US has nuclear-capable B-1 bombers based. Last week, North Korean leader Kim Jong-un backed off the strike plan on Guam, saying he would judge forthcoming "foolish Yankee" actions. Over the next two weeks, the giant war maneuvers being held by US forces in conjunction with South Korean and Japanese military, could spark an all-out war with North Korea. If a war were to erupt, it would most probably involve the use of nuclear weapons, with catastrophic human and ecological consequences. The accident-prone US navy only adds to the anxiety that a war could be stumbled into. That is precisely why China and Russia called on all sides de-escalate military forces and to make diplomacy and dialogue a paramount priority. With typical arrogance, however, the Americans are pushing ahead to escalate the situation, making the absurd claim that the Korean war drills are "only defensive". The Washington Times reports illogically with the headline: "US-South Korean troops start military drills amid North Korea's threats". The double standards are risible. 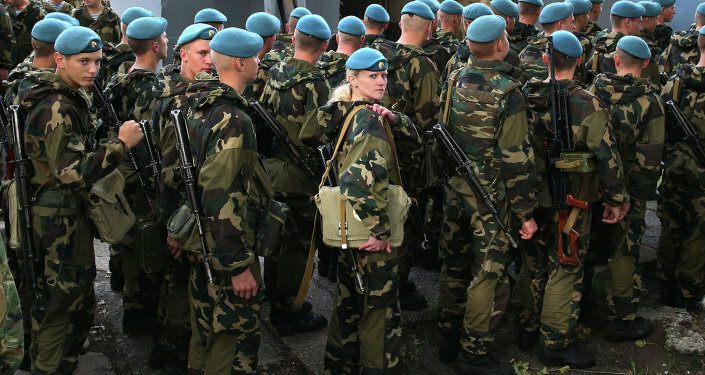 When Russia holds war maneuvers on its own territory, Washington and its NATO allies routinely decry those drills as "offensive" to European security. Yet, when Washington conducts land, sea and air operations involving up to 70,000 troops and "decapitation strikes" against North Korea, well, then the maneuvers are said to be "defensive". The other irony about the US naval crashes is that Washington claims that its vessels are present in the Asia-Pacific in order to guarantee "freedom of navigation". The Americans allege that China is flexing its military muscles in the region and thereby threatening the free movement of international merchant ships. Before the latest collision this week with an oil tanker off Singapore, earlier in June another Aegis-equipped US destroyer crashed into a cargo ship off Japan. That incident resulted in the death of seven US crew members. Just last week the commanders of the USS Fitzgerald were dismissed from their posts for incompetence following a navy inquiry. In May, another US guided-missile warship was in a collision with a South Korean fishing vessel. A fourth accident this year was when a US warship ran aground while approaching Japan. The deadly record of American navy incompetence is due in part because of Washington's unprecedented military build-up in one of the most congested merchant shipping routes in the world. Nearly 25 per cent of all global commodities are shipped through the Strait of Malacca and the South China Sea. Over 200 cargo ships pass through the narrow 2.8-km-wide Strait of Malacca every day, near where the US destroyer collided with the oil tanker this week. Given the frequency of ramming on the high seas caused by US navy vessels, it begs the question: what freedom of navigation is Washington supposedly ensuring? But, primarily, the most serious danger from US forces is the incompetence in handling supposedly hi-tech weapons systems in a region that is already on a knife-edge for a nuclear war. The American recklessness is criminal. That's why with the US Navy lumbering around, no wonder one gets an eery sinking feeling.